A novel based on the famous feud. 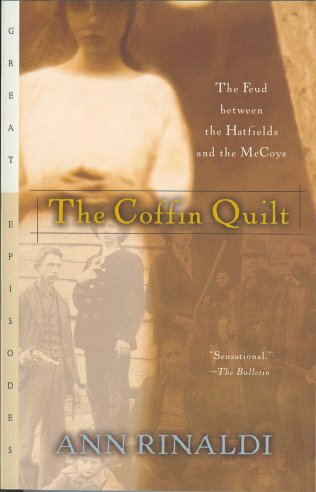 Fanny McCoy has lived in fear and anger ever since that day in 1878 when a dispute with the Hatfields over the ownership of a few pigs set her family on a path of hatred and revenge. From that day forward, along the ragged ridges of the West Virginia-Kentucky line, the Hatfields and the McCoys have operated not withing the law but within mountain codes of their own making. In 1882, when Fanny's sister Roseanna runs off with young Johnse Hatfield, the hatred between the two clans explodes. As the killings, abductions, raids, and heartbreak escalate bitterly and senselessly, Fanny, the sole voice of reason, realizes that she is powerless to stop the fighting and must learn to rise above the petty natures of her family and neighbors to find her own way out of the hatred.